Who are COSMA Site Reviewers? Site reviewers are selected from qualified and professionally trained members of COSMA. Many site reviewers are former Board of Commissioner members, are on the Board of Directors, or are accredited Institutional Members. Individual members and institutional members who are preparing for a COSMA site visit may also act as site reviewers. Each accreditation site visit is conducted by a team of two professionally trained program evaluators. COSMA selects site visit team members from a pool of well-qualified persons with experience in the evaluation process. The team Chair is appointed by COSMA headquarters and is responsible for assuring that the visit is conducted objectively. The composition of the team and the qualifications of its members are influenced by the institution's size, program complexity, and number of off-campus locations. Potential site evaluators must submit a detailed curriculum vitae to COSMA Headquarters and attend a Site Evaluator Training Workshop - in person or via webinar. Site evaluator trainings are offered frequently throughout the year. What are my Responsibilities as a COSMA Site Reviewer? Arrive on time at the visitation site and work with the other site team members in a harmonious manner. Handle the site visit activities in a professional and expeditious manner. Complete the site visit assignment while at the institution and prepare a written report of the findings. The team chair is responsible for compiling an overall summary report of the findings within two weeks of the date of the site visit and for forwarding the report to COSMA headquarters. Perform the site visit evaluation objectively, not letting personal bias interfere with the assignment. The site team members play a key role in maintaining the integrity of the COSMA accreditation process. Accordingly, all members of the team, before accepting an assignment, must agree to avoid impropriety, avoid being partial, refrain from inappropriate activity, and preserve the confidential nature of the information reviewed during the site visit. What Training Do I Need to Become a COSMA Site Reviewer? Introductory presentation of the accreditation process, role, and expectation of site team evaluators. 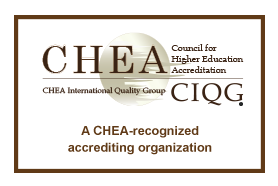 Review of the accreditation manuals, report templates, and other relevant materials. Education on principles, criteria for decision making, performance evaluation, and outcome assessment expectations. Step-by-step look at each principle and validation of the self-study. Overview of typical site visit schedule. Knowledge of the general expectations, confidentiality, and ethics expected of you. Organizational expectations, timeline for the site visit report, and timely submission of expenses. How Do I Avoid Conflicts of Interest? No member of the team will have had a recent affiliation with the program being considered for accreditation, nor will the team member have relatives who are employees of the program. No member of the team will be a graduate of the program being considered for accreditation. No member of the team will have a known, expressed bias for or against the program. No member of the team will currently be a full-time employee of another program in the program's primary competitive market.